Sally forth of a Saturday evening into any one of Britain’s murderous provincial town squares; the smell of testosterone mingles with sweating lamb’s flesh while punters duck into dive after dive as refugees pleading for sanctuary. What do you see? A zoo? Wild Beasts see a ballet. In Limbo, Panto this remarkable Leeds-via-Kendal four piece present a kind of Songs Of Innocence And Experience for the juvenile male psyche; cataloguing its obsessions, its foibles and its transferred desires with a satirist’s eye for the absurd and an artist’s eye for the absurdly beautiful. With lofty intent, then, the end justifies the frequently bewildering means: musically-speaking, Wild Beasts peddle an indecent but skilfully realised mix of village fete tomfoolery, Orange Juice’s subtle melodicism and, in frontman Hayden Thorpe’s divisive falsetto aneurisms, a diva croon to rival the oddball likes of Russell Mael and Billy McKenzie. With tracks like early calling-card 'Brave Bulging Buoyant Clairvoyants', ‘The Club Of Fathomless Love’ (“full with fierce, fathomless love / I spit and have spats to be rough”) Wild Beasts drink deep of the youthful elixir and dole out drubbings to the faces of their forefathers, only to find themselves undone in ways that have plagued mankind since time immemorial. Or not, as the case may be: ‘Cheerio Chaps’ is a grief-stricken music hall number examining what being shot out of a circus cannon will do for your wounded sense of male pride (“I gloat with gritted grin / to cheat my chin into keeping the womanly wibbling in”). 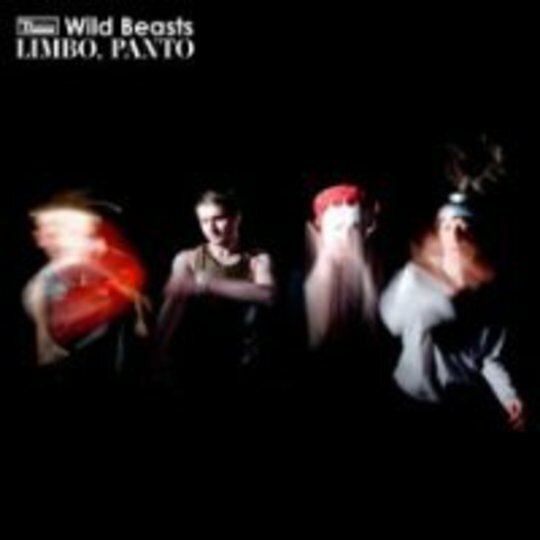 To qualify a little: Limbo, Panto isn’t a perfect debut, but in terms of range and depth of ambition there’s no new band in the UK can hold a candle to Wild Beasts right now, save perhaps These New Puritans, and theirs feels a much more consciously-willed autonomy, if no less valid. 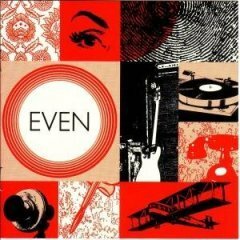 Which isn’t to say our subjects’ sound was merely stumbled upon; you can bet your bottom dollar there isn’t a stroke on this record that wasn’t agonised over at length, and the band has clearly striven to create a lasting impression in everything from the track listing up – ten songs in length, two previous singles left off (including the very fine ‘Assembly’), signature hit tucked away at track nine with muted arrangement, nary a furtive eye cast in the direction of the indie disco. Even the title’s jarring vowel sounds trip awkwardly off the tongue. And if Limbo, Panto’s opening brace are an exhilarating clatter then it’s ‘The Devil’s Crayon’ that justifies the approach and provides the band with the masterstroke they were no doubt aiming at. Thorpe’s obsessively alliterative ear as a lyricist can occasionally get the better of him but here he allows himself room to breathe, bassist Tom Flemming’s suave tenor giving emotional heft to the former’s impassioned cries that “we are all so much moulded dough” while revelatory chords fire off around him. It’s a pretty stunning moment. ‘The Old Dog’ is a lovely, lilting duet that nonetheless sneaks lines as shocking and birth-traumatic as “a human is hauled from the womb’s wired jaw” under the radar, while highlight ‘His Grinning Skull’ provides another moment where a sense of transgression is allowed to pierce the band’s rosy-cheeked vigour, an extraordinary tale of cuckoldry and gravedigging set to a stately shimmer of synth and guitar. A thrillingly uneven listen, all told, but what's important is that, like toddlers taking their first teetering steps, Wild Beasts are reeling in the instinctive knowledge they’ve set in motion an idea that’s been in their genes from birth, coursing fearless through learning limbs that seek out trauma as their cue to pick up the pen, the guitar or the microphone. As such, Limbo, Panto is shocking, funny, and above all irrevocable. Expect this lot to be around for the long haul.